2015/16 Season: A Season of Young & Emerging Talent. The 2015/16 Premier League season was a great spectacle as we saw Leicester City winning the league, causing one of the biggest sporting upsets in history. But we also witnessed a season where, unusually, young players where thrown into the deep end and how they all impressed us very much throughout the campaign. Players like Dele Alli, Marcus Rashford, Jesse Lingard, Jordan Ibe and Ruben Loftus-Cheek all showed that England’s youth is becoming very strong and these all look like stars for the future. We also can’t forget the impact of other youngsters such as Kelechi Iheanacho, Alex Iwobi and Timothy Fosu Mensah who are just a few of the young raw talent that the league has to offer. Dreams certainly came true for the likes of Marcus Rashford and Dele Alli who were both picked to travel to France with the England National Team to compete in this summer’s Euro 2016. While Kelechi Iheanacho and Alex Iwobi who both earned there first cap for there home nation Nigeria. We should also give credit of course to the manager’s who had 100% faith in these young players by playing them in big games throughout the season and the players paid the manager’s back by giving them a 110% effort and commitment on the pitch. This can only mean good things for the league as we are currently in a time where young talent is being brought in from abroad when all we have to do is look at the home grown talent that fill the lower leagues and deserve as much a chance as the player who has been brought in from overseas. 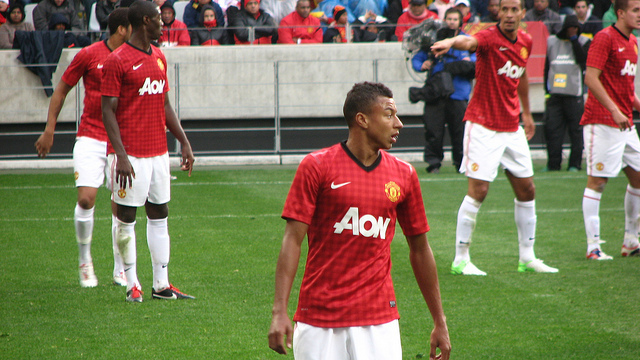 In my personal opinion, players like Lingard who has been a Manchester United fan all his life and has played with them since the age of 10, to see one day that they end up playing for there boyhood club is something that the league should take pride in and add it to the list of why the Premier League is the best in the world. Who has been the most impressive young star this season? Let us know in the comments below!